DMCice is the senior of two jazz choirs at Daniel McIntyre Collegiate Institute in Winnipeg, Manitoba. Daniel McIntyre is a Grade 9-12 school in Winnipeg’s historic West End, with a population of about 1,200 students. The music program boasts enrollment of over 250 students, with 100 members in the choral program. DMCice is a group of 12 auditioned singers from the ranks of the Daniel McIntyre Collegiate Concert Choir. 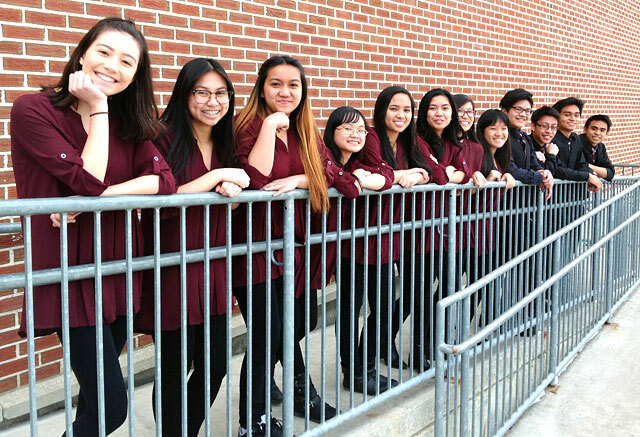 Under the direction of Cynthia Peyson Wahl, this dedicated group of students meets three times a week after school and sings a variety of styles, ranging from pop to swing to Latin. They annually participate in Manitoba’s ChoralFest, and have been awarded invitations to MusicFest yearly, based on their participation there. In 2000 and 2006, DMCice was awarded a gold award for superior performance at MusicFest Canada. DMCice has been a featured performer at Choralfest Manitoba (2007, ’08, ’09, ‘10), and at the Moose Jaw Kinsmen Band and Choral Festival (2008), and the Canadian Rocky Mountain Festival (2011). DMCice was also a featured performer at the Choral Canada national conference, Podium, held in Saskatoon in 2010. They are delighted at the opportunity to perform for the ever-appreciative Canadian Rocky Mountain Festival audiences!